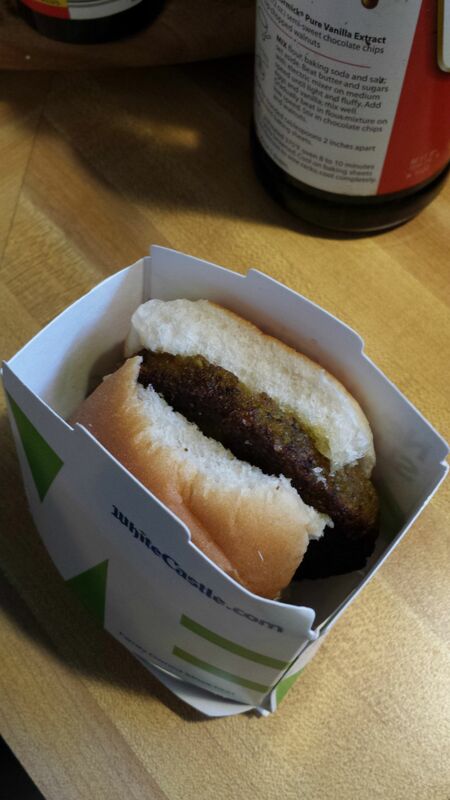 There was nothing to do today so I decided we'd drive thru the Lehigh tunnel and then head to White Castle to get my son some sliders. 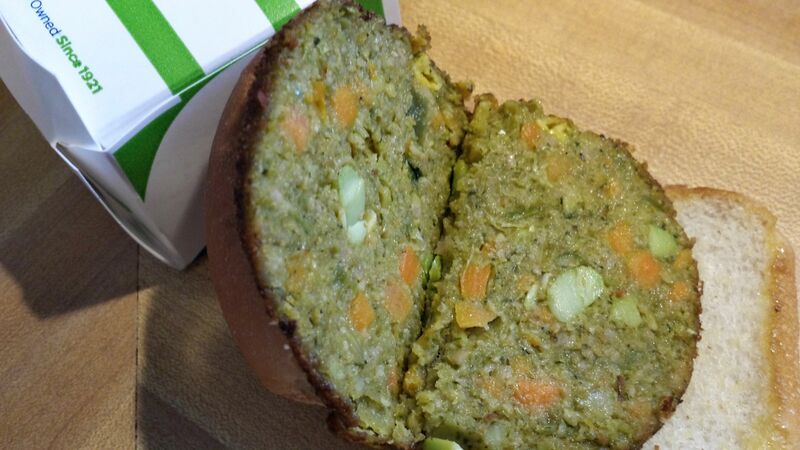 The texture was like an Indian potato and veggie patty, NOT like Morningstar Farms. I wouldnt get it again but others may like it, it did have veggie flavor. The Burger King Veggie Burger was a MorningStar Farms and it was like cardboard. 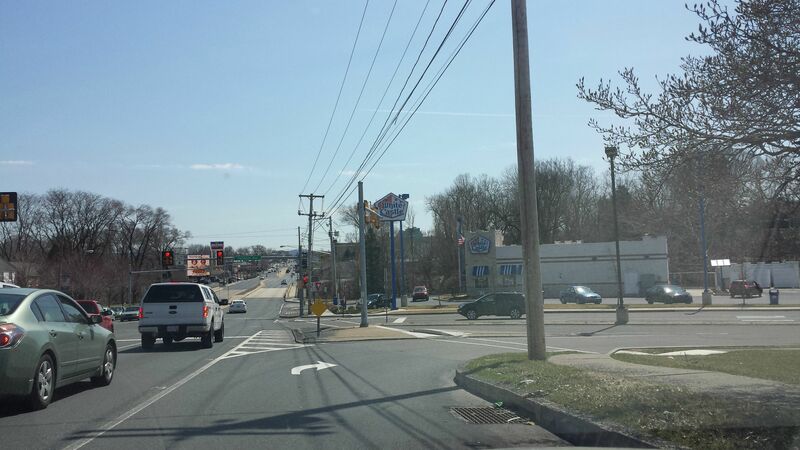 If I go to White Castle, I want little beef gut grenades causing pain and suffering for any and all who have to follow me in the bathroom the next morning. But between the actual vegetarians, the people trying to eat somewhat healthier and the pretend vegetarians, there's a lot of money to be made in that area. I don't blame them for trying. 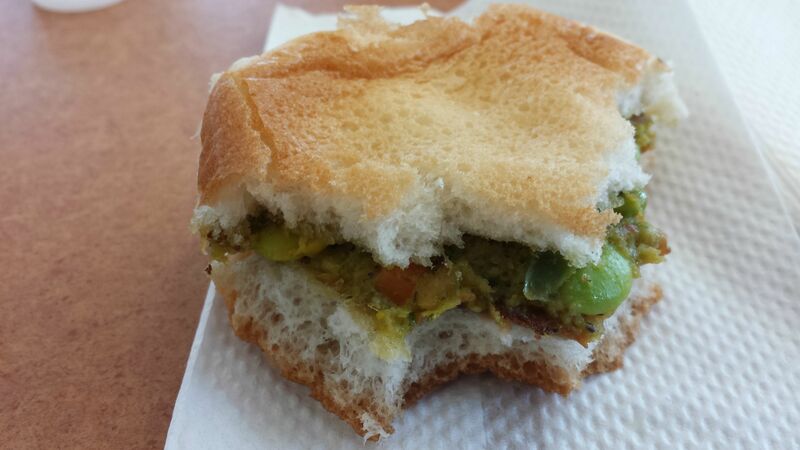 With the admission that I know not much at all about the world of trying to mimic meat items with non-meat items, there's something about finding whole lima beans in my burger patty that doesn't appeal to me at all. Maybe I should make an attempt to explore meat-mimicking veggie items just in the interest of learning. I wonder why those who sell vegetarian food tend to tout how much is tastes like meat?